At times, words simply cannot express one’s sense of gratitude or appreciation. 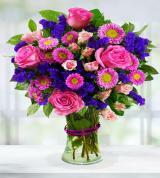 When faced with a situation in which words aren’t sufficient, a wonderful alternative is to say thank you with flowers. 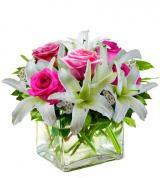 First, you’ll need to find the right selection of flowers to choose from. 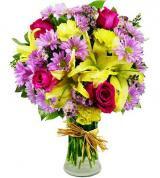 Here at Avas Flowers, you are sure to find the arrangement that you are looking for, as we have a beautiful and diverse selection of thank-you flowers to choose from. Do you need to send a thank-you bouquet to someone who lives in another city or state? No problem! As an online florist, we work with local shops across the country, which allows our customers to order and arrange for flower delivery nationwide. When flowers are given as a way of saying thank you, you’re showing appreciation in a very visual way that will last longer than mere words. There are countless reasons why people send thank-you flower arrangements. 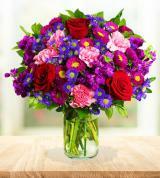 For example, in business, a company may send flowers to thank a client. 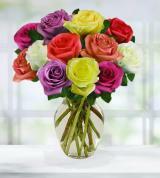 A co-worker might send flowers as a way of showing appreciation to someone who has been helpful. 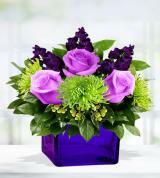 Even an employer may send flowers to their employees as a way of thanking them for a job well done. When sending business or work-related flowers, it is important to choose an arrangement that is professional and tasteful. 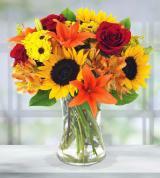 When giving thank-you flower arrangements to people on a personal level, you can be creative as you please. It is generally helpful to know what the recipient’s favorite flowers are, as that can make it simpler to find the right arrangement. Often, flowers are given when thanking someone for their help or their support. Some people give floral bouquets simply as a way of saying “thank you for being a friend,” or if they enjoy a person’s company, an arrangement that contain sweet pea flowers means “thank you for a lovely time.” Even the container holding the flowers should be chosen carefully, as our thank-you flowers come in regular or decorative vases and even mugs. Cut flowers aren’t your only option when it comes to saying thank you. Why not say thank you with a bouquet of flowers and a box of candy or a teddy bear? 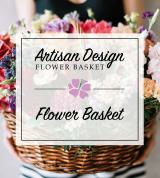 You’ll find that Avas Flowers also offers a selection of live plants and fruit gift baskets as well. Because live plants can live for a long time with the appropriate care, the recipient can enjoy the evidence of your appreciation for years to come. 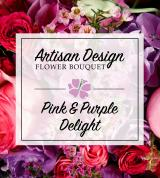 Are you ready to buy thank-you flowers? Delivery is available with an option for same-day delivery on eligible orders. When you order from us, you can be assured that you are sending only premium-quality flowers and that they will be received in excellent condition. If you have any questions about the available arrangements featured on this page or about ordering in general, take a look at our FAQ page or feel free to contact us.